I came back to the Berge property in September to see what the land looked like after a few months of grazing. In July, the vegetation on the property was fully grown, taller than me, and ready to be grazed. Now, two months later, Jess Berge was ready to show me how the landscape had changed and what the cattle were up to. We made our way to the herd, which was in a fully grazed paddock. 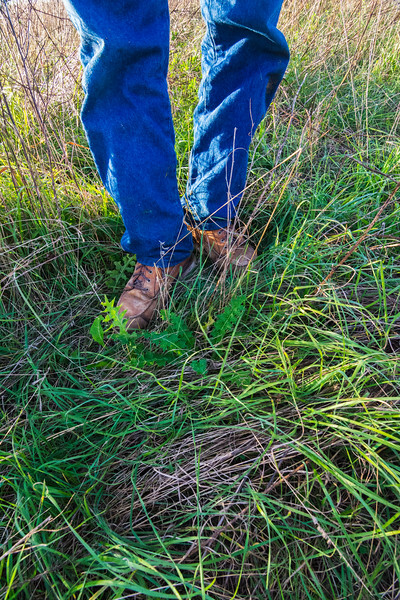 A grazed paddock means that the average stubble height of foraged vegetation is 4 inches. Grazing plants no lower than this maintains vigorous warm and cool season grasses and forbs and allows plants to grow back faster. As Jess neared the gate, the cattle emerged from a small, forested area. 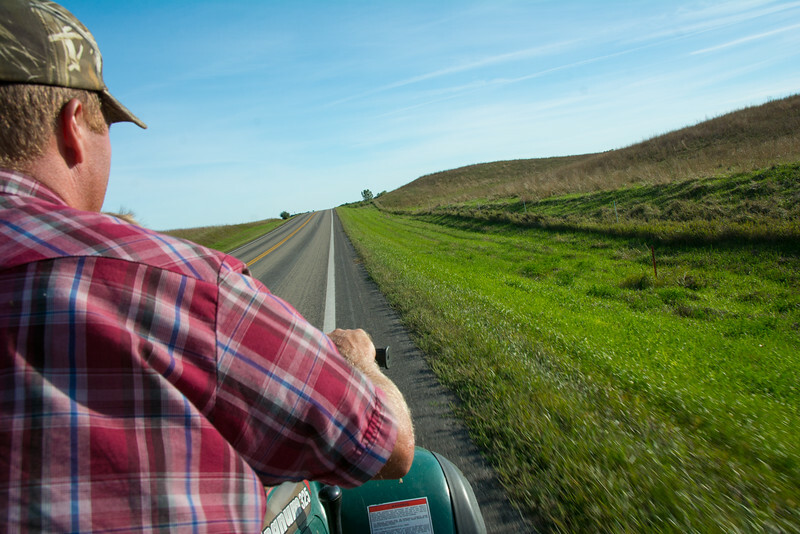 Jess says the cattle know to gather at the sound of his ATV because it usually leads to more food. Jess's task for the day was to lead the herd to a holding paddock, where the cattle would spend the night until they could be transferred the next morning to a new paddock for grazing. As the cattle were making their way into the holding paddock, Jess did a check through the grazed paddock to move out the strays and stragglers. 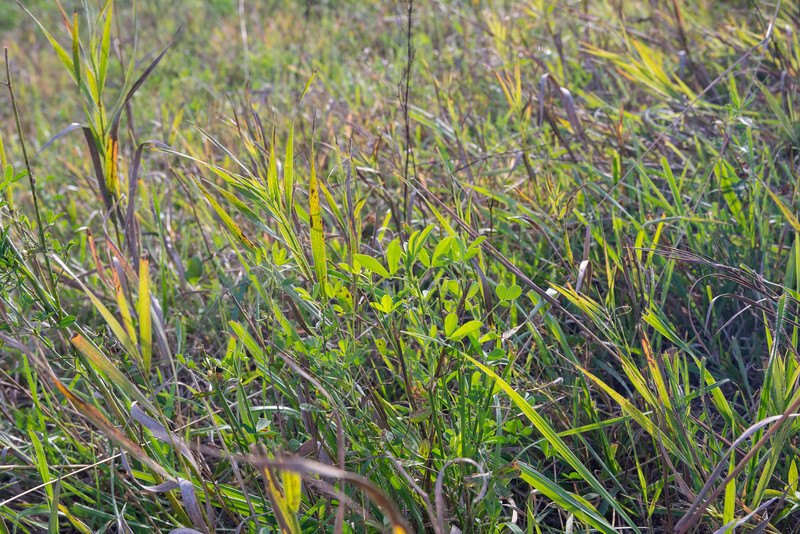 On a typical cattle farm in Minnesota, vegetation (known as forge) is completely consumed, practically to bare ground, before cattle are moved to a different grazing area. This practice is called continuous grazing. Farmers do this because they want their cattle to consume all the available protein on the land. Think of it like licking your plate clean. 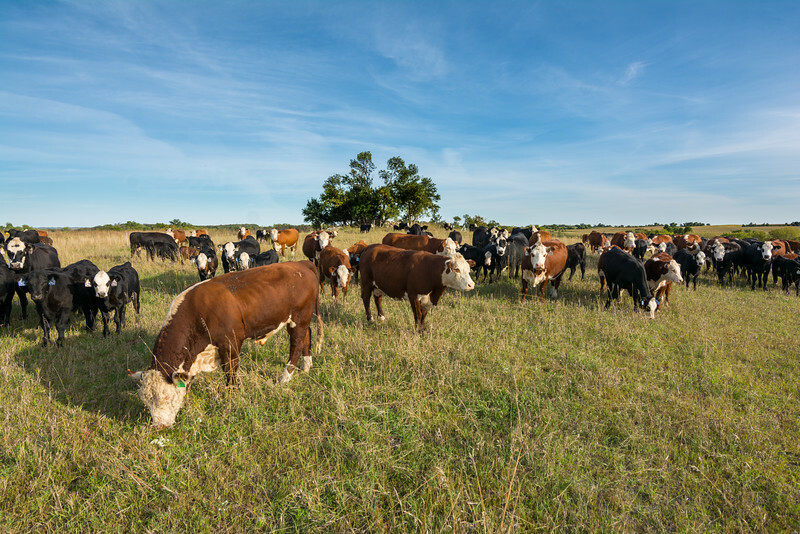 Unfortunately, this approach has significant drawbacks, as overgrazing results in loss of native plant diversity, increased potential for erosion, and higher susceptibility to invasive species. 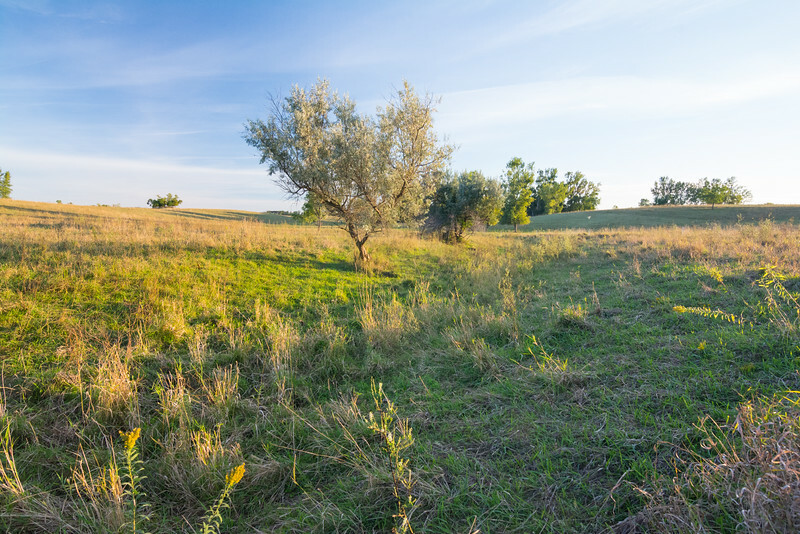 Overgrazing reduces a plant’s ability to capture sunlight, reducing plant and root growth and overall sod strength. During dry months in the summer, plants with reduced root length are more susceptible to drying out and the resulting exposed soil allows weeds to flourish. Reduced sod strength also means that plant roots don't hold soil in place, so when it rains, soil is washed down into water bodies like this beautiful lake on the southern portion of the property. The result is poor water quality, which leads to less aquatic life and decreased wildlife habitat. Here you can see recently grazed vegetation that was left with a sufficient amount of stubble and leaves to regrow and maintain root reserves. This ensures the plant will survive, which prevents erosion and provides nutrients for the cattle during the next grazing rotation. 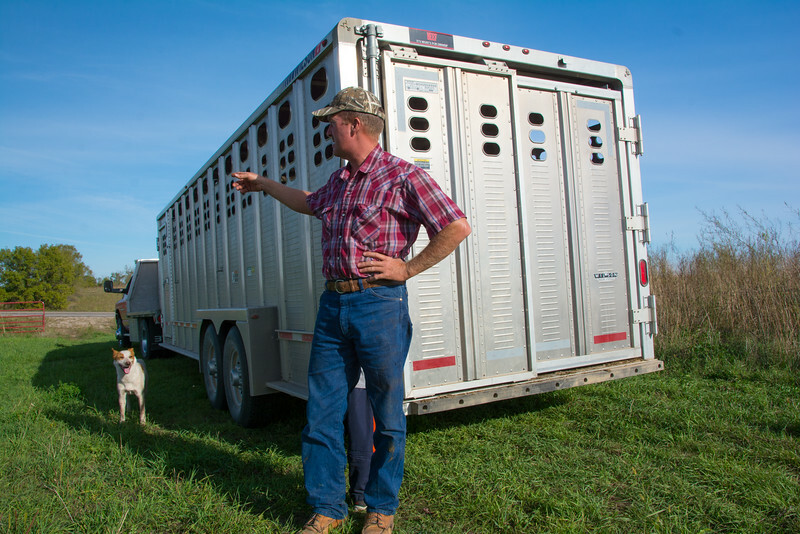 When pastures aren't subject to overgrazing, plants are able to regenerate faster and produce more shade. The shade prevents the seeds of invasive plants like this thistle from germinating. If the seeds don't germinate each year, fewer and fewer thistle will survive, eventually eradicating the plant species. 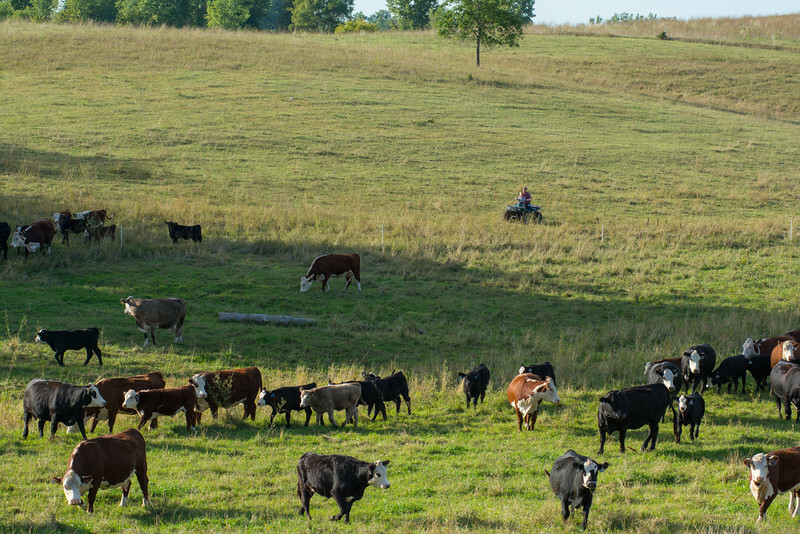 Providing a clean water source for the cattle is also a good conservation practice. 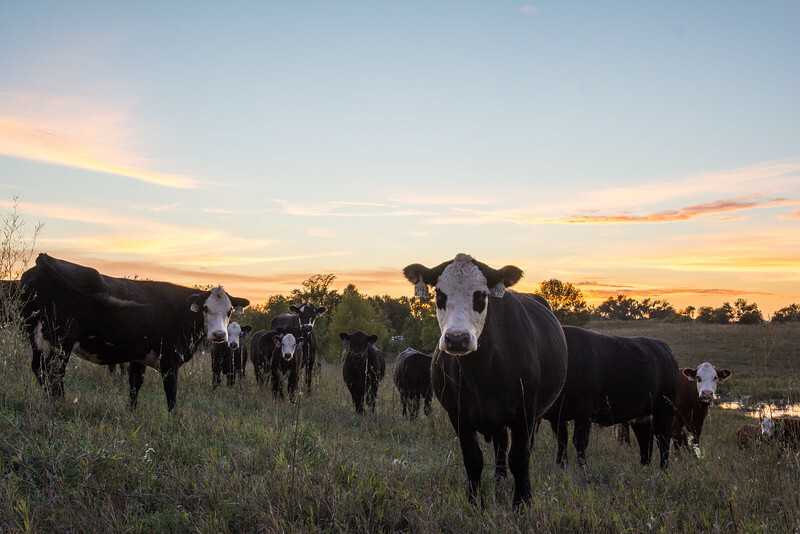 Just like humans, cattle prefer clean water and, if made available, the cattle will be less likely to seek out water from streams and ponds on the property. Less traffic to stream banks and pond edges allows vegetation to grow, preventing erosion and poor water quality. Groundwater from a well located on the property is piped to water containers like this all over the pasture. This photo shows the intermittent stream that winds through the property. 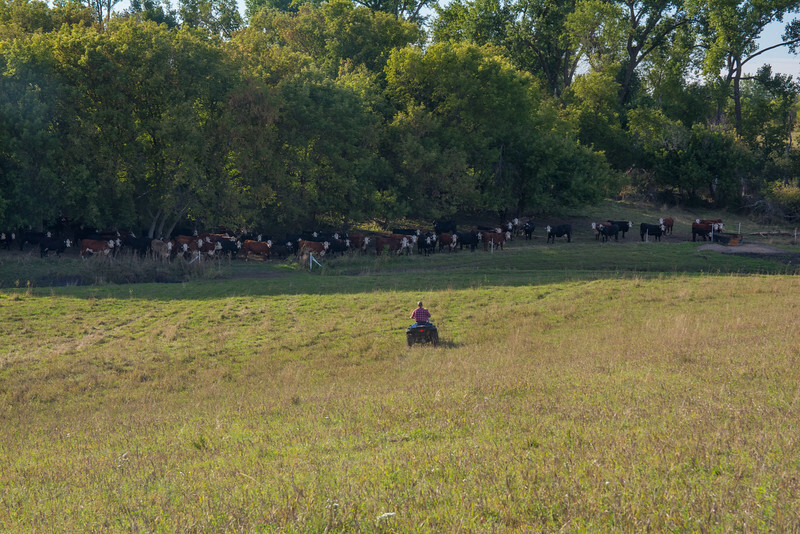 When this stream is flowing during wetter months at the Berge farm, the cattle don't stampede to the banks looking for drinking water because a clean source for drinking is already available. 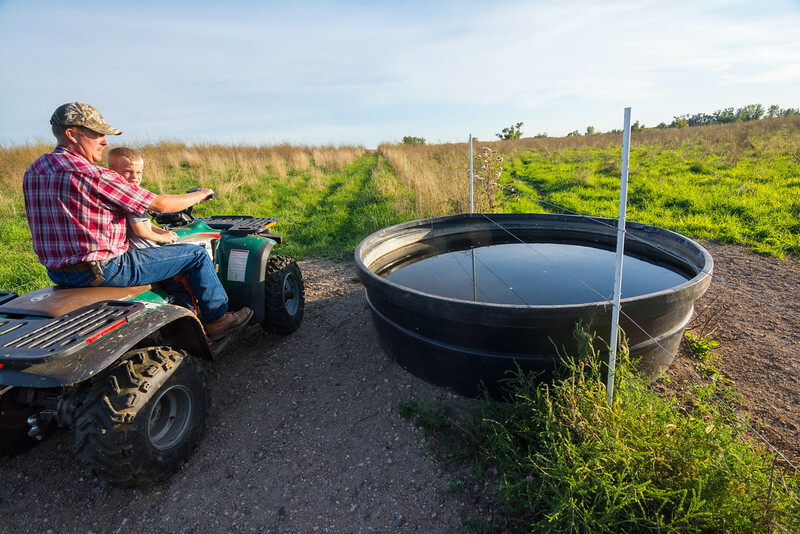 On a typical cattle farm, the area around the stream would likely be muddy with little to no vegetation and the stream would be clouded with mud and manure, reducing the ability to support aquatic life and other wildlife. A healthy aquatic ecosystem is especially important to waterfowl production areas like this one located right next to the Berge property. 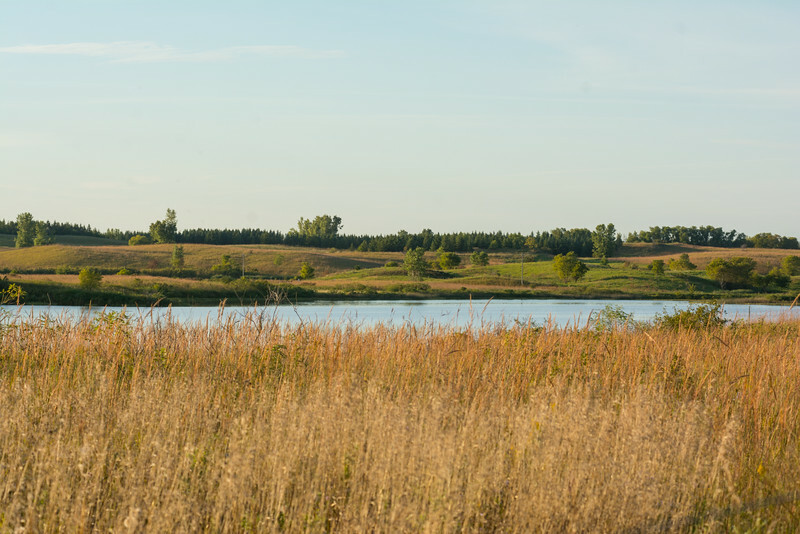 The numerous pothole lakes in the Glacial Lakes Prairie Core Area support the state waterfowl hunting economy. According to a 2006 U.S. Fish and Wildlife Service National Survey (link to article below), 52,000 waterfowl hunters in Minnesota spent more than $28 million on trip and equipment expenditures. The industry created 653 jobs and had a total economic impact of $43.1 million. Good conservation practices from farmers in this region are vital to maintaining habitat for wild game and the local economy. By now, the pattern of benefits to this grazing plan should be clear. Carefully managed grazing allows vegetation to grow back and remain hearty, which prevents soil erosion and promotes healthy ecosystems. 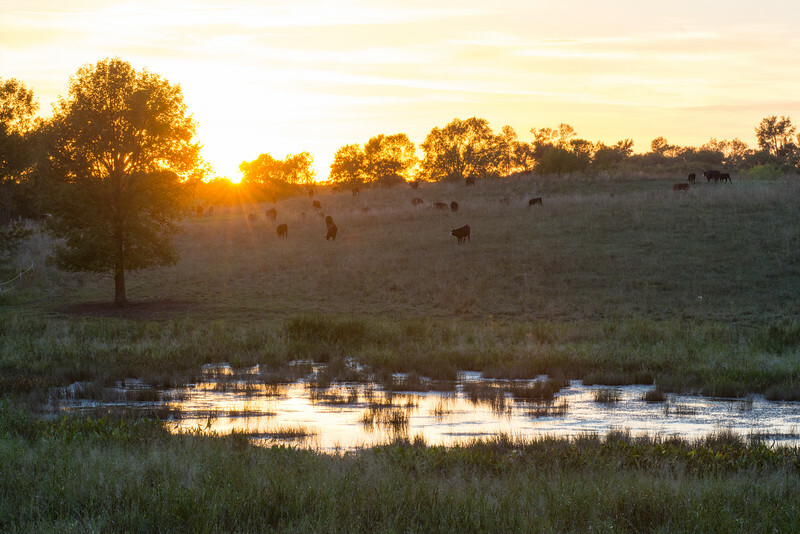 Healthy ecosystems promote successful cattle operations like the Berge's with fast-growing cattle, and also help to support the local economy with abundant wildlife habitat and clean lakes and rivers. 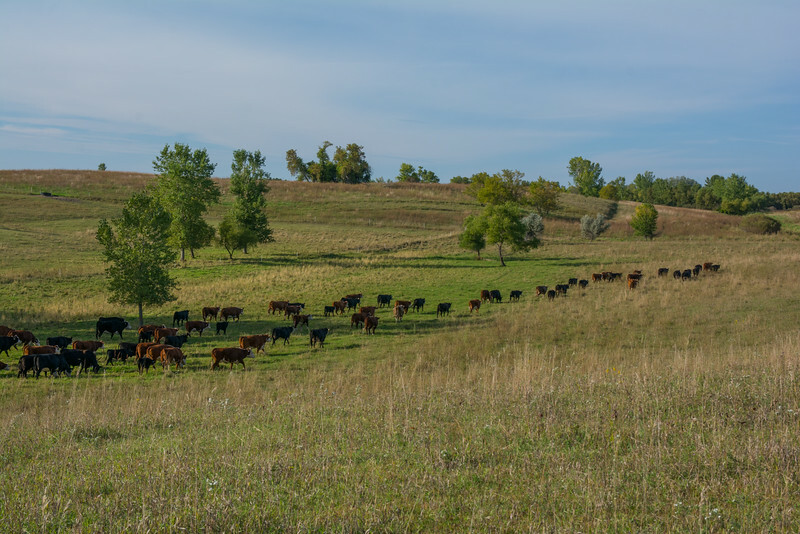 After visiting the Berge property twice this year, its clear the conservation grazing plan is a success, both in conserving this beautiful piece Minnesota's Prairie Region, and in supporting the Berge's livelihood. 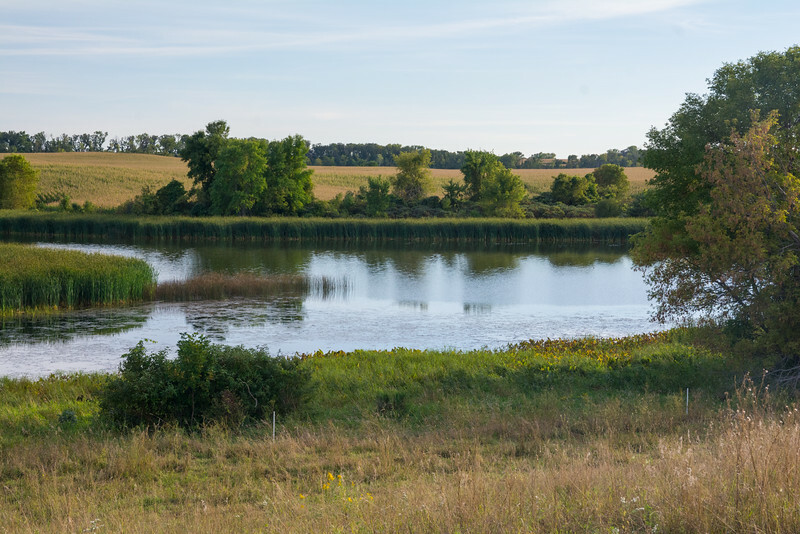 Partnerships between families like the Berges and the Minnesota Land Trust are key to preserving not only the beautiful landscapes that Minnesota is known for, but also the way of life that Minnesotans take pride in. A big thank you to the Berge family and the Minnesota Land Trust for letting me be part of this important and impressive project! If you're considering a conservation easement similar to the Berge's, please contact Pat Anderson, Minnesota Land Trust Program Manager, at panderson@mnland.org or call him at 651-917-6288.